Cloud of Witnesses: A Child’s First Book of Saints will be your child’s favorite introduction to friendship with the saints in heaven—and probably yours, too! 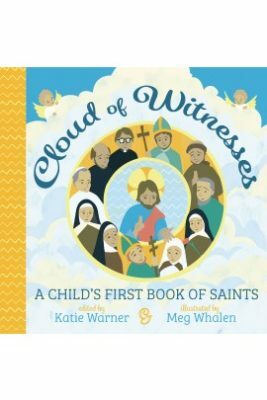 Filled with simple but profound lessons from well-known saints, each page will give your child a short, memorable quote accompanied by a beautiful illustration of the saint who spoke or wrote it. Get ready to fall in love with the wisdom, colors, images, and holy men and women in these pages!